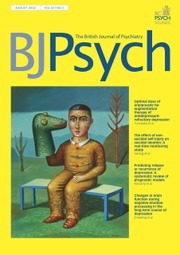 Published monthly, BJPsych is one of the world's leading psychiatric journals. College members benefit from free online access and free print copies. Subscriptions available to non-members and institutions. To read or submit to BJPsych visit BJPsych. 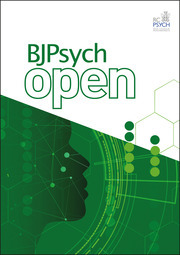 BJPsych Open is a high-quality, online-only open access journal for the publication of all methodologically sound research in psychiatry and disciplines related to mental health. To read or submit to BJPsych Open visit BJPsych Open. This innovative bimonthly journal promotes continuing professional development in psychiatry. 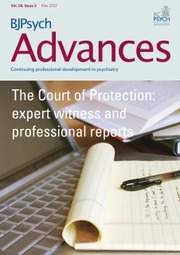 To read or submit to BJPsych Advances visit BJPsych Advances. 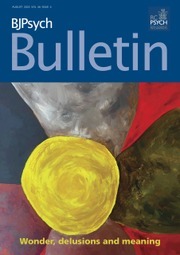 Published bimonthly, the Bulletin is the journal for developments in psychiatric practice and service provision. The journal is open access online and there are no article processing charges. To read or submit to BJPsych Bulletin visit BJPsych Bulletin. With four issues a year, this open access journal provides useful information and links in global mental health. It will help all mental health professionals keep abreast of what's happening elsewhere. 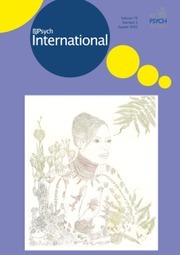 To read or submit to BJPsych International visit BJPsych International. Digest of the most important clinical research of relevance to clinicians in mental health. College members benefit from free online access and a discounted subscription to the print version via the My RCPsych members' area. To read or submit to Evidence-Based Mental Health visit EBMH.